In a mixing bowl, whisk together the eggs, egg white, milk, salt and pepper. Sprinkle the goat cheese on the bottom of the prebaked crust, then evenly cover with the vegetables. Add the Parmesan cheese and then pour in the egg mixture. Bake for about 45 minutes or until firm in the middle. Let the quiche sit for 10-15 minutes before serving. 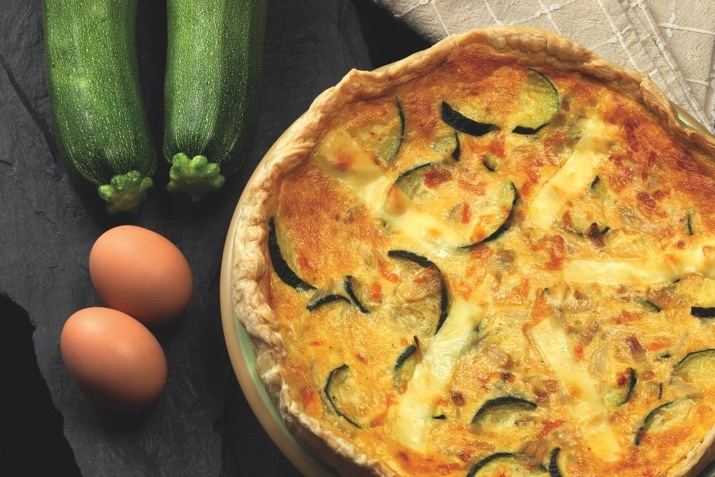 This basic quiche recipe can be easily adapted with your choice of in-season and local ingredients. Try any combination of locally-made sausage or bacon crumbles, sliced or diced tomatoes, arugula, or corn kernels for an “eat local” version.